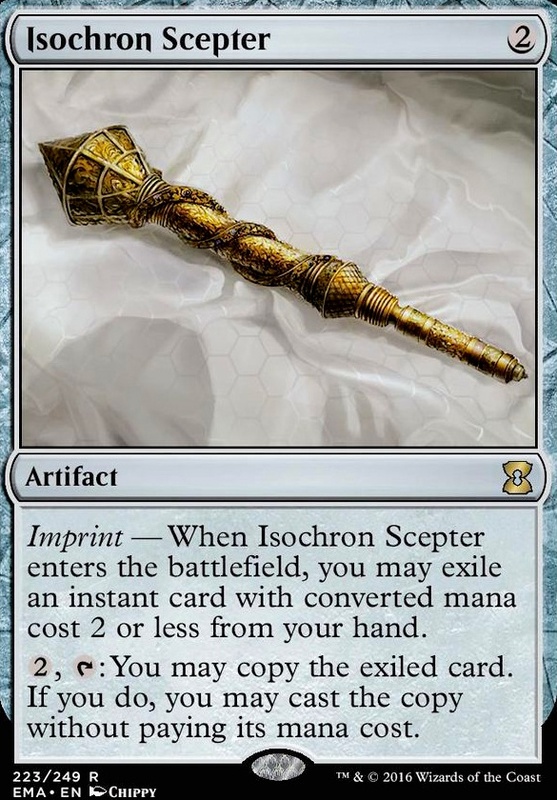 Imprint — When Isochron Scepter enters the battlefield, you may exile an instant card with converted mana cost 2 or less from your hand. 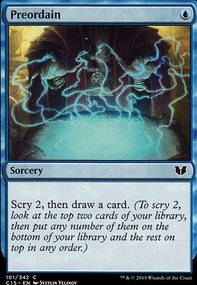 Would you consider Dramatic Reversal just to make the infinite mana with Isochron Scepter ? You seem to be running a fine amount of mana rocks to make it work but I don't know if you necessarily have the need for infinite mana. Just a thought. Cool deck. Do you think I could use Hidden Strings as an imprinted spell to pave the way towards infinite? 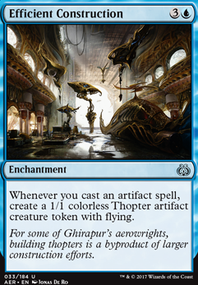 The bottleneck is mana and mono blue has little to no land enchantments to make a land produce more than the standard 1. Hidden Strings + Voltaic Key seems like a decent way of making sure that I can activate an Isochron Scepter multiple times and Hidden Strings leaves the door open to tapping another target permanent, which to me points to tapping an enchanted land to provide the mana for even more scepter madness, but again, mana. Thoughts? Also you could use board wipes; ether in the board or in the main. Supreme Verdict is the Classic one so someone like me that plays elves won’t just have your lunch. 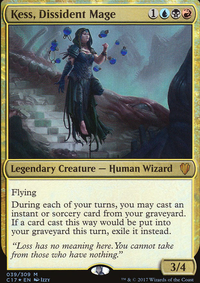 The card Narset's Reversal should also be higher, but not much higher, maybe 8 out of 10. Anyone who plays this card is always looking for the mirror match. You play Ad Nauseam ? Me too. You are combing off right now? Hold on, I will respond by casting Narset's Reversal cast my copy of ad nauseum first, while nullifying your Ad Nauseam . You are playing Flash and Protean Hulk ? Me too. You casting flash? Hold on, let me stop you from winning. 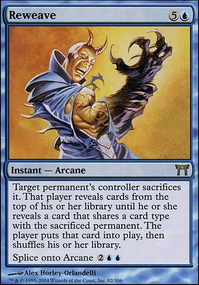 It also happens to combo with the new God-Eternal Kefnet as it too combos with Isochron Scepter , extra turn, commander. 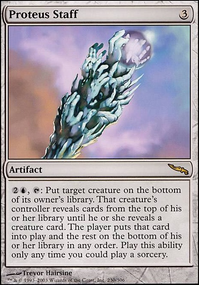 Lastly, storm loves this card, as it allows them to get two storm triggers, and make Bonus Round ridiculous. 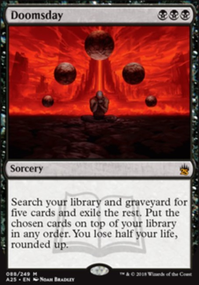 I agree with the initial assessment, but I believe it has far more applications and will be a serious contender for being a staple in the commander format. The God-Eternal Kefnet needs to be way higher. Like 9 out of 10 if not 10 out of 10. It combos so easily with extra turns. 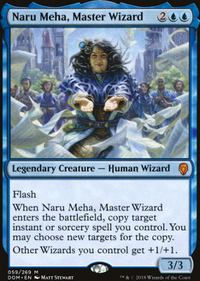 People have already built a serious competitive list in the commander format. An example combo Isochron Scepter , imprint Brainstorm , Time Warp . 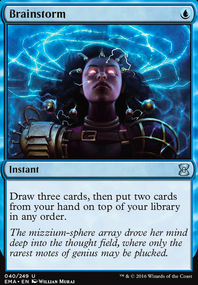 You draw Time Warp , cast it for three using God-Eternal Kefnet , cast the imprinted Brainstorm put Time Warp back on top, and net cards. You are now gaining card advantage, while taking extra turns. Win con for deck? The commander. It flies, making it almost impossible to block, and it is a 4/5, meaning it blocks most things in the format and ends people in short order. Same combo can be achieved with Scroll Rack and an extra turn spell. This guy is a tier one threat, mono colored (which means no expensive lands) and runs an easy to assemble combo with no dead cards like Laboratory Maniac . People in CEDH can’t wait for him to come out.